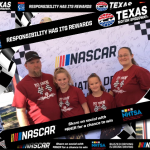 Responsible fans were rewarded at the AAA Texas 500 at Texas Motor Speedway on November 5, 2017. 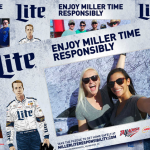 The race marks the third time the track, NASCAR and TEAM Coalition have partnered to promote drunk driving prevention, responsible drinking and traffic safety. 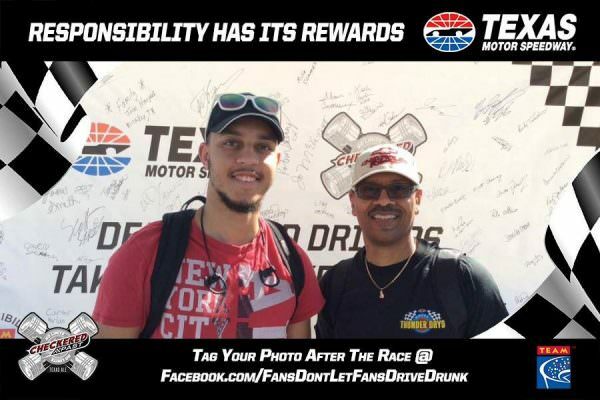 Before the race, 113 fans made the pledge to be the designated driver for their group. 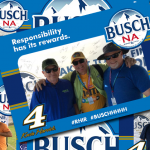 All of them had the opportunity to autograph the responsibility wall, to receive a free souvenir photo and instant prizes, and to enter for a chance to be selected as the Designated Driver for the Race. One randomly selected, responsible fan will win the Responsibility Has Its Rewards sweepstakes. The grand prize includes two tickets and a VIP experience for two at the O’Reilly Auto Parts 500 at Texas Motor Speedway on April 8, 2018. 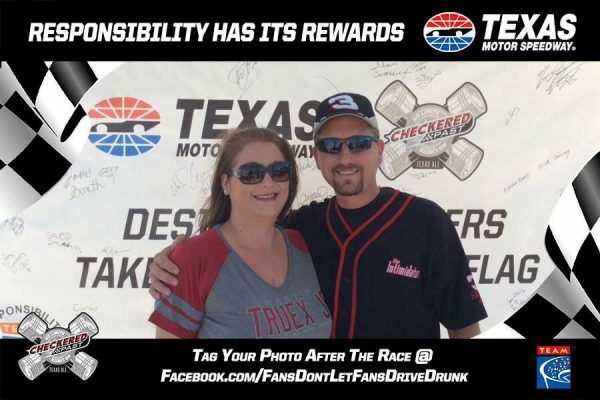 The Designated Driver for the Race from the Spring 2017 race, Chris Walters, received two tickets and two VIP Experiences at the AAA Texas 500. 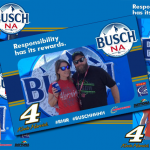 Chris and his guest also enjoyed a behind-the-scenes experience before the race on Sunday, that included the driver meeting, an autograph from Dale Earnhardt Jr. and a tour around the garages. With a crowd capacity in excess of 190,000, Texas Motor Speedway is among the largest sports stadiums in the United States and features an array of amenities, including the world’s largest, high-definition LED video board, that make it one of the premier venues in the world of sports. Known as “The Great American Speedway!,” the 1.5-mile superspeedway located in Fort Worth plays host to two races in the Monster Energy NASCAR Cup Series, XFINITY Series and Camping World Truck Series as well as one in the Verizon IndyCar Series. The attendances for the NASCAR Sprint Cup events since the facility opened in 1997 annually rank among the nation’s largest sporting events and also are the largest-attended, single-day sporting events in Texas. Since opening, Texas Motor Speedway has had an annual economic impact of approximately $300 million to the North Texas region. Texas Motor Speedway is owned and operated by Speedway Motorsports, Inc., a publicly traded company that is a leading marketer and promoter of motorsports entertainment in the United States. 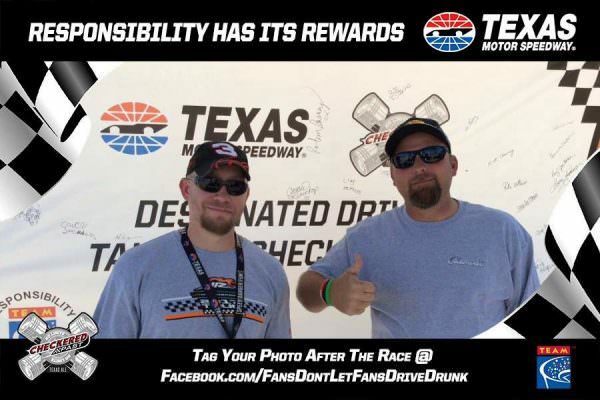 For more information, please visit www.texasmotorspeedway.com. TEAM Coalition is an alliance of professional and collegiate sports, entertainment facilities, concessionaires, stadium service providers, the beer industry, distillers, broadcasters, traffic safety experts and others working together to promote responsible drinking and positive fan behavior at sports and entertainment facilities. TEAM Coalition members and supporters include NASCAR, Major League Baseball, Major League Soccer, National Basketball Association, National Football League, National Hockey League, National Collegiate Athletic Association, Americrown, Aramark, Delaware North Sportservice, Legends, Spectra, Beer Institute, National Beer Wholesalers Association, Anheuser-Busch Companies, Constellation Brands, HEINEKEN USA, MillerCoors, Brown-Forman, Live Nation, National Association of Broadcasters, Contemporary Services Corporation, International Association of Venue Managers, Stadium Managers Association and the National Highway Traffic Safety Administration. For more information visit TEAMCoalition.org.